Work for McAfee Total Protection for Data Loss Prevention? I like the fact that this program can detect any and every attempt outsiders make to break into our systems this program has kept our facility safe for many years and has only improved over the last few years. I have used several different programs not only with work but also with my home systems so this has helped improve not only my clients identity and information but it i=has helped me at home as well. I could not be happier with the protection this program offers you see when people make attempts and you can block them from future attacks. I do try to have my crew go through and make sure all accounts are logged out before ending our shifts but in the case if we do not we do not have to worry because this program will keep out email systems safe and it encrypts everything as well so making the documents even that much more secure when transfering between doctors, and other facilities. I would reccomend this for not only the smaller facilities but the bigger facilities as well if they are dealing with 50 plus patients it is ideal to keep their information stored in a safe place and having this program ensures that. outside hackers from gathering client information for sales purposes or fraud, the benefits i realized is it keeps information and our systems safe from virsuses and hackers. McAfee has 24-hour online access to consumer support solutions through our answer center, and via utilities such as McAfee Virtual Technician. If you question or concerns cannot be answered through the answer center, customers are presented with other contact options. This depends on a customer's need. After opening a ticket about why the service was not working on my new laptop, my questions went unanswered. Later, about a month I was not able to use the system I paid for. Finally, the situation was solved by a support representative. I would recommend it to others. But, I would also tell them to do the comparative product for antivirus software. This software provides mechanisms that make sure we are protected from viruses and that McAfee stays up to date. What Data Loss Prevention (DLP) solution do you use? This application provides all kinds of security, whether you are downloading a file, or browsing some link on browser or using any kind of software application. Their user interface is a little intuitive but with the security they provide it is still acceptable. As of now the best security tool available and one installed can be worry free. We built a banking website and that needed atmost security to prevent any kind of man in the middle attack or any other kinds of hacks found in the internet these days and we realised with the help of total protection, we were able to safe gaurd our employee details without having any worry. "Good product for data security"
"data protection software for all vectors"
The McAfee DLP solution provide complete data protection & it is easy to deploy and manage. DLP is not just a solution and it has to update based on requirements of an organization or demand. DLP agent package size is large & it gives challenges when come for mass deployment. sensitive data protection from any channels like endpoint. How it makes sure my computer is clean of any viruses or anything that is capable of harming my computer. That it takes a long time to scan and how sometimes I know that there is a virus on my computer but it doesn't find anything in the scan. I'm solving having protection on my computer so my computer can last for a long time. Longer than if I didn't have virus protection on my computer. This McAfee software provides total data protection. Very easy to deploy and manage. The length of scan time and sometimes it does not detect all viruses located on pc. My computer has lasted longer using the Total Protection for Data package. The coverage while using the product. The coverage it average. I didn’t not get a virus that I know of. All the hoops that you have to jump through to remove the program from the computer. It seems as though when it is removed it slows down the computer like it left something behind. Mostly I keep my information of my computer safe. I don’t have to worry that it will be stollen. "Total Protection is great!! " Total protection for Data is awesome. I love the vast amount of protection! Total protection for data would be better if it was more cost effective. Keeping everyone safe at work. pop-blockers can sometimes be annoying, but they can be removed. thats it rreallly. "Easy-to-use data loss prevention suite"
Detection capabilities are good. Policy setup is easy and streamlined. Does not support Chrome, which is a big drawback, as it was our preferred browser. Useful for any device, mobile, home, laptop. The cost can get a little pricey and it has to be paid for more than once. User friendly easy to use. Offers protection against viruses caused by emails, spans, downloads. Slow to start up takes time often pops up while in the middle of something. Flexibility, secuirty and ease of use during the setup process. Learning about McAfee Total Protection for Data Loss Prevention? 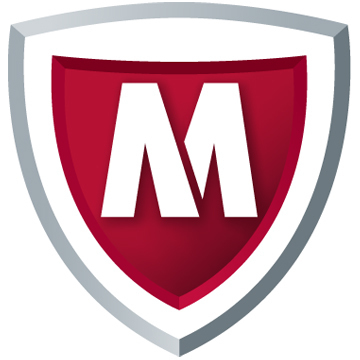 * We monitor all McAfee Total Protection for Data Loss Prevention reviews to prevent fraudulent reviews and keep review quality high. We do not post reviews by company employees or direct competitors. Validated reviews require the user to submit a screenshot of the product containing their user ID, in order to verify a user is an actual user of the product. Hi there! Are you looking to implement a solution like McAfee?